You have so many things on your plate already, so why not make the task of putting something on your (and your loved one’s) plate much simpler? Creating a weekly meal planning list (or monthly one, depending on how ambitious you are! ), means you won’t have to think about what you’ll be making for breakfast, lunch and dinner each night. Which, really, is half of the stress of making meals, right? Pro Tip: Set aside one day per week as your time to create your weekly meal plan. When you make your weekly meal plan, all you have to do is put the grocery items you’ll need for the week onto your running grocery list. Then you won’t have to worry about not having the right ingredients for each meal, and there will be much less food waste each week since every food will be accounted for. In addition, when you are running low on a staple food or rare ingredient, you’ll already have the list ready to add items to. Pro Tip: Use your Reminders on your iPhone or similar app on your iPhone or Android smartphone to keep this list handy. Ah, cleaning. It can be overwhelming when you have a million things to do just to find time to clean the floors, let alone do those not-as-often cleaning jobs like dusting the blinds. For this, it’s helpful to create a list of the cleaning tasks you have to do each day -- and make a separate list for the chores to do once a month, plus another list for those big tasks that need to be done quarterly or once a year (like cleaning out the garage...in June). Pro Tip: Devote just 20-30 minutes each day to tackling your daily cleaning tasks and then they won’t pile up on you -- and set the timer! Keep a list on the fridge so you know what to do on what day. When you or your loved one complains of a new ache or pain, or has a repeating symptom, it will make things much easier for you at the next doctor’s appointment if you have a list detailing exactly when the symptom occurred, and for how long. Try to note if the pain occurred after a particular activity, eating a certain food or taking a specific medication. And you’ll also know when it’s time to worry if something has been going on for several days (instead of trying to remember when the symptom first appeared). Pro Tip: Again, use your Reminders list or similar app to keep this handy at all times. You can even tell Siri to “add pain in left leg to Health Symptoms List” and she will add it for you! Sure, you’ll have the doctor’s appointments on your calendar, but sometimes it can be helpful to have all your upcoming visits listed in a way for quick reference -- especially if you’re at your primary care physician and he or she needs to know when the next visit to the rheumatologist is. Pro Tip: On your calendar app on your smartphone, create a new calendar specifically for doctor’s appointments. That way, you can only show that calendar and see all the appointments quickly at a glance. You probably know the amounts of medications and the times that they need to be administered, but it’s helpful to keep a list of all the medications you or your loved one are currently taking -- including the strength of the medication, the dosage and how often it should be taken. This comes in handy in case you, the caregiver, aren’t around and someone else needs to know the routine. Pro Tip: Bring this list to any and all doctor’s appointments for easy reference. This would already be contained in your Emergency Document Binder, provided you have one. This includes all the pertinent doctor contact information, medications, ailments, allergies, health care paperwork, and more. Pro Tip: Remember to refer to this often whenever any new medications are introduced or you go to a new doctor, etc. Hoveround helps to make things easier for caregivers, too, by allowing loved ones to remain aging in place and retain their independence for as long as possible with a power wheelchair or mobility scooter. 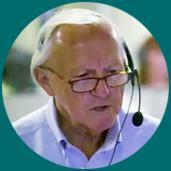 Call our Mobility Specialists today at (800) 542-7236 to find out if Medicare or private insurance may cover the cost.